I have been busy for the last 2 weeks, a little bit of designing but mainly ‘stashing down’. What is stashing down? For yarn-aholics like me, stash is the stock of yarn I have acquired over the years. So stashing down means using up lots of yarn so that my yarn ‘stash’ reduces. Now my stash is huge, so large that I keep a spreadsheet to help me manage it and I know how many balls/skeins I have. But it is so embarrassingly large that I can’t even bring myself to tell you what that number is! It does fill a tall built in double width wardrobe and overflow into numerous baskets in my yarn room. Did I ever mention I have a yarn room? Perhaps the less said the better – but it gives you an idea of how much stash I have! I need to reduce this stash considerably and I decided to use quick simple crochet stitches (such as granny square stitches) that I can do with my eyes shut, and therefore speedily stash down. 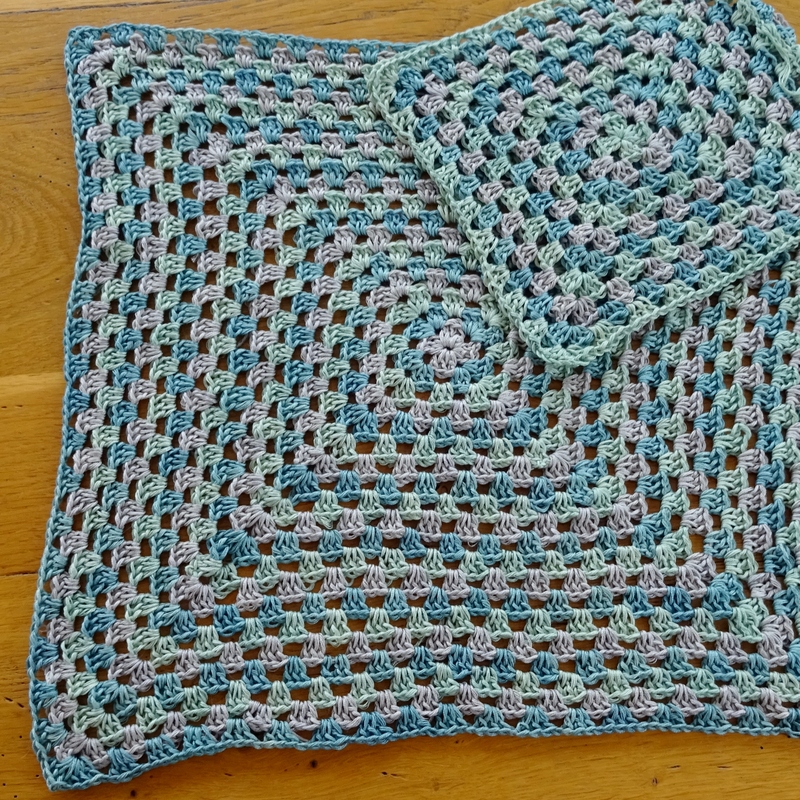 So I have used these simple stitches and crocheted like the wind. So far I have used 17 balls of my stash and made no fewer 8 gift bags (destined for Christmas wrappings). 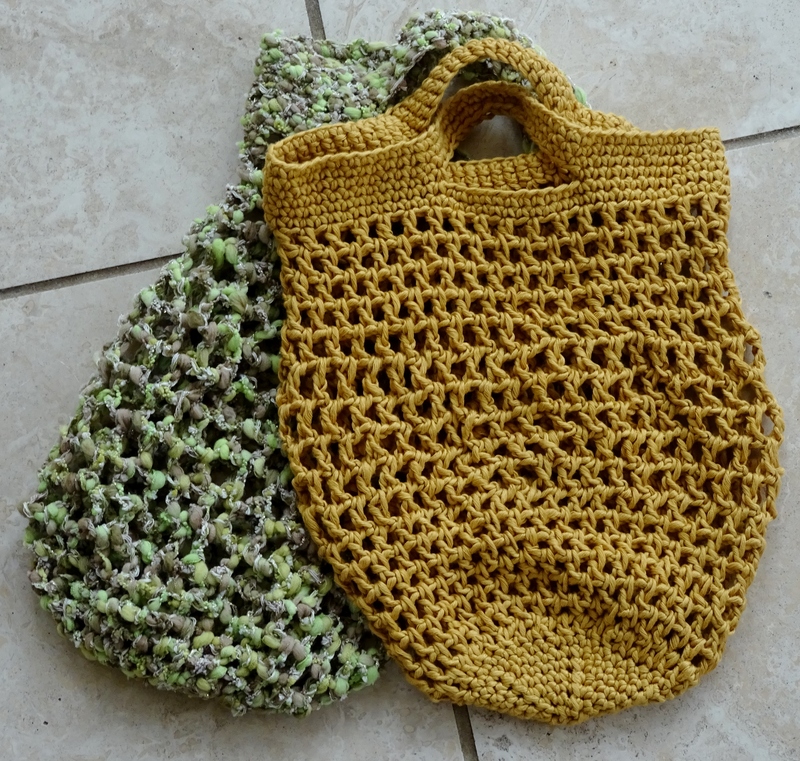 You can tell from the photos that I haven’t used the best of my yarn stash for these bags. But there is a little glitter and silk in some of the yarns I used. 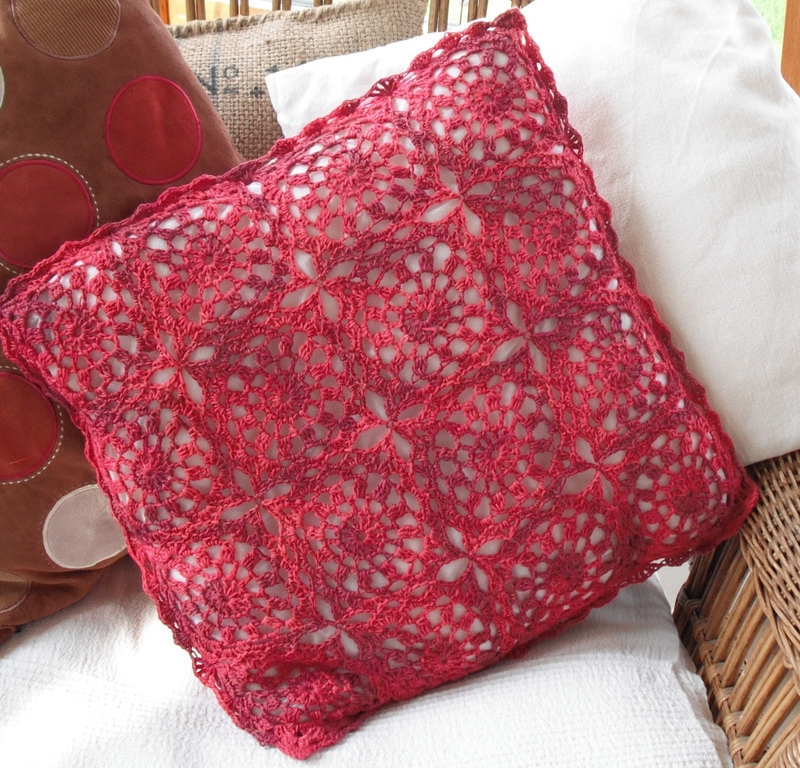 I have also started on some simple but luxurious cushion covers in pure silk. 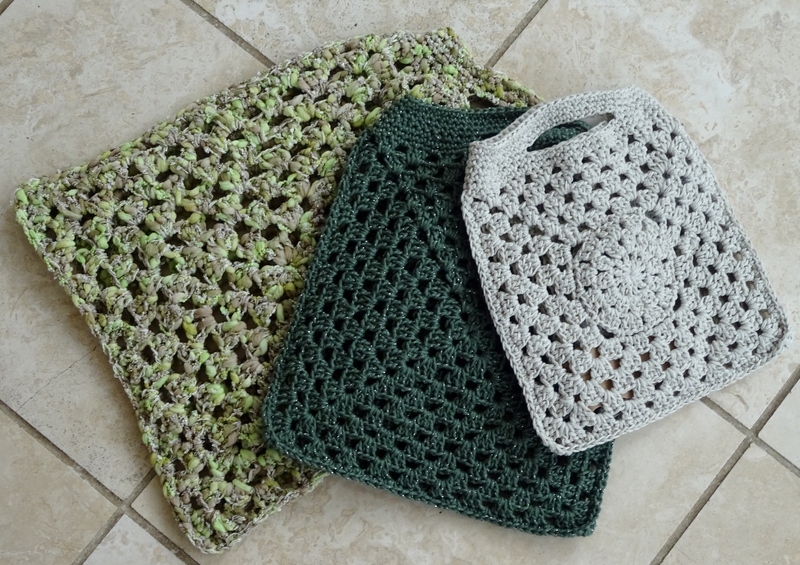 These are a simple granny square design – one for the back and 4 for the front. I plan to fasten them with buttons, so I will need to design a granny-style button flap. I love the yarn and the colours complement each other well. Unfortunately this photo just doesn’t show the colours in all their glory, nor the beautiful sheen of the silk. And I am sure to buy lots more yarn – I guess that’s called stashing up!! !